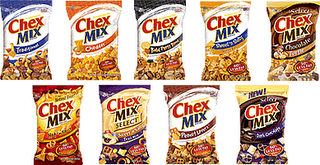 Chex Mix are on sale this week at Walgreens priced at 2/$3. This is advertised in their weekly ad here, so just bring this with you to price match at Target. You’ll also want to bring the various Chex Mix coupons that are available! You can use the $0.50/1 printables from here, here, here: IE or Firefox and here or the insert coupons from the 9/13 or 10/4 RP. Plus, you’ll need to bring the $1/1 Chex Mix Target coupon. Final cost after price matching and coupons: FREE!